Technology has long been deemed the significant advantage in a society’s ability to produce and distribute products, organize and govern, and capably interact with other societies. The advances of packet technology or data networking, which make it possible to effectively and efficiently transmit voice, data, and video over a single line, is one of the modern world’s most important technological advances. Many of those advances have been made possible because of the contributions of Debasis Mitra. Mitra, professor of electrical engineering, harnessed mathematical modeling and analyses, and applied probability to transform and advance communication networks. His contributions to communication technology include the development of low-cost voice echo cancellers now deployed in networks around the world, the design of digital signal processors (DSPs), understanding the role of externalities in the growth of new communication services, and integrating pricing in network design and optimization. That work used stochastic fluid models to capture the burstiness of packet traffic in data networks. These models are now routinely used as a tool for analyzing, dimensioning, and controlling networks. Mitra also made critical contributions to development of the theory of effective bandwidth of data sources, providing a key element for admission control and resource management in data networks. Mitra is also a proponent of Internet economics and engineering, helping his students understand the Internet as an economic system. “I want our engineers to be able to understand Internet economics and how science policies impact knowledge creation,” he says. He has also recently been funded by the National Science Foundation to investigate sustainability, risks and structures of industrial laboratories and the implications to science policy. Mitra joined Columbia Engineering in 2013 from Bell Labs, Alcatel-Lucent, where he was vice president in the chief scientist’s office, responsible for global research partnerships, university relations, and technical institutes. While at Bell Labs, he also served for eight years as vice president of the Mathematical and Algorithmic Sciences Research Center, where he directed activities in fundamental mathematics, algorithms, complex systems analysis and optimization, statistics, learning theory, information and communications sciences, and industrial mathematics. 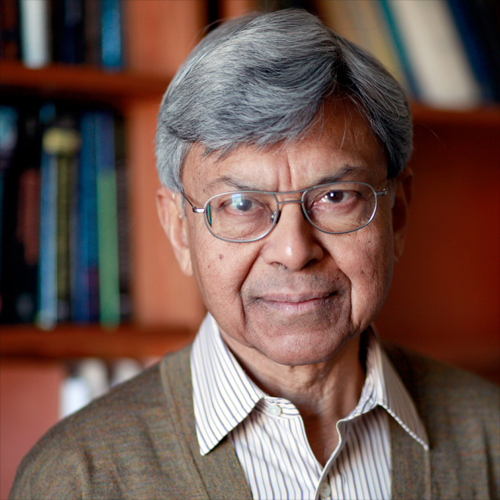 In 2003, Mitra was elected to the National Academy of Engineering for his contributions to the modeling, analysis and design of communication networks. He is a Bell Labs Fellow and an Institute of Electrical and Electronics Engineers (IEEE) Life Fellow. He received the 2012 ACM SIGMETRICS Achievement Award; the Arne Jensen Lifetime Achievement Award from the International Teletraffic Congress; and is co-recipient of the 1998 IEEE Eric E. Sumner Award.